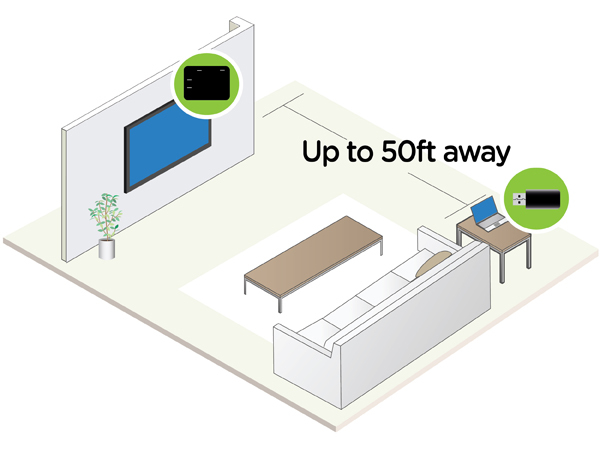 Wirelessly mirror your PC's display to an HDTV, HD Projector or Display with no interference. IOGEAR's latest addition to our wireless video family, the Duplicast Wireless Screen Mirroring kit is the perfect solution for wirelessly streaming content from you PC to an HDTV, HD Projector or Display. Duplicast gives you the ability to enjoy all your favorite PC content such as movies, videos, photos and online sites including YouTube®, Hulu®, and Netflix® in Full HD without the hassle of connecting cables. Cutting the wire from your PC to your HD display doesn't mean compromising your viewing experience! 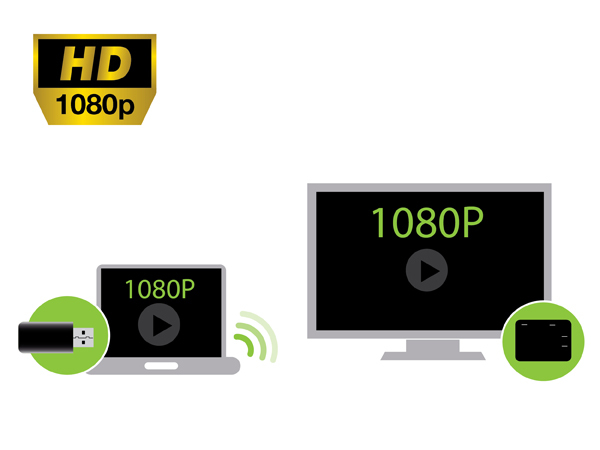 With the Duplicast Wireless Mirroring kit, you are able to stream content from your PC in Full HD 1080p resolution ensuring that content being played back from your PC looks as good on your HDTV or projector as it does on your PC's display. 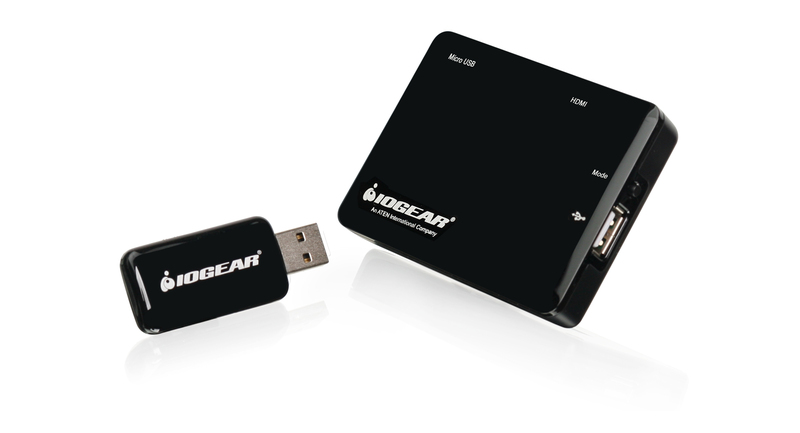 By using Wi-Fi to stream content from your PC to a connected HDTV or Projector, IOGEAR's Duplicast Wireless Screen Mirroring kit allows you to transmit content up to 50ft away from your HD display. 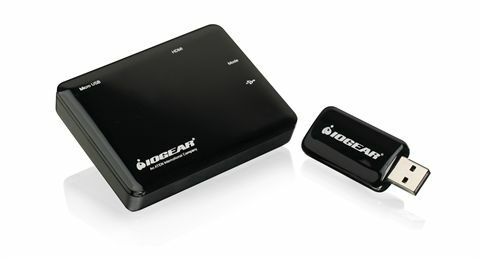 This gives you the freedom and flexibility of streaming content from your desktop or notebook located anywhere in a living room, office or even an adjacent room. 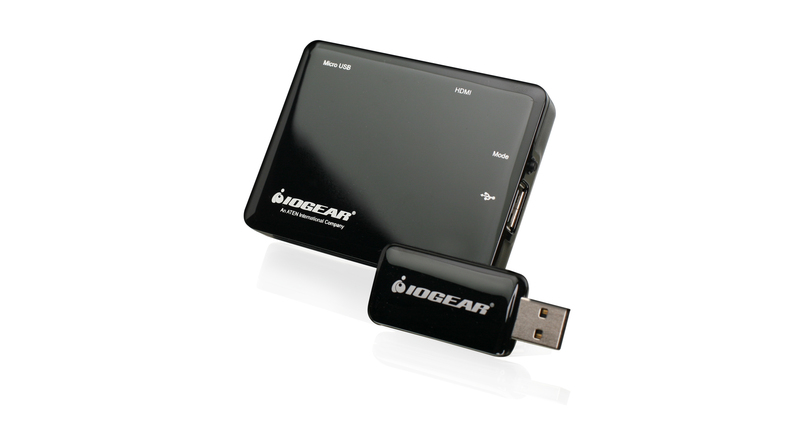 IOGEAR's Duplicast Wireless Screen Mirroring does not require an existing wireless network to transmit your PC's display. 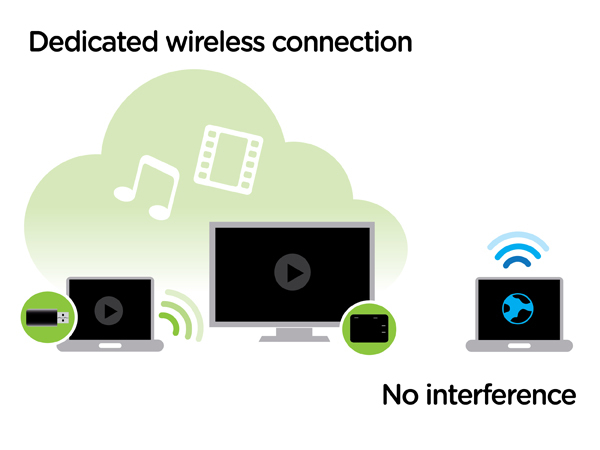 By creating its own dedicated wireless connection, Duplicast allows you to stream as much content as you want from your PC without impacting the performance of Wi-Fi networks being used to connect you to the Internet. This device was designed to increase efficiency in an environment where multiple users need to access a single HD display or HD projector. 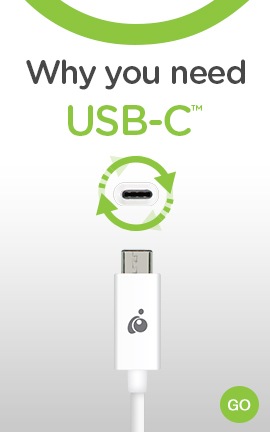 It is also effective in an environment where a simple PC to TV or HD projector connection is needed. 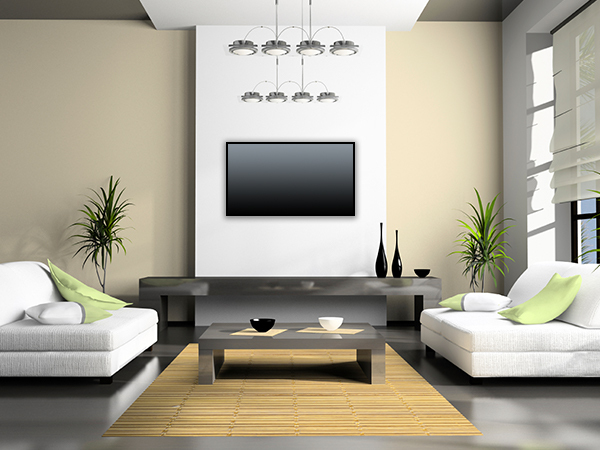 Stream content from a laptop or computer directly to the TVs in an office lobby or waiting room. Update content on the fly and display wait times. 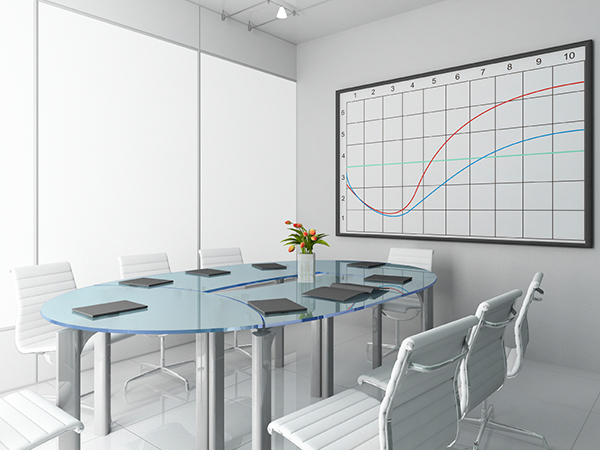 Perfect for business presentations allowing multiple users to present from their laptops. 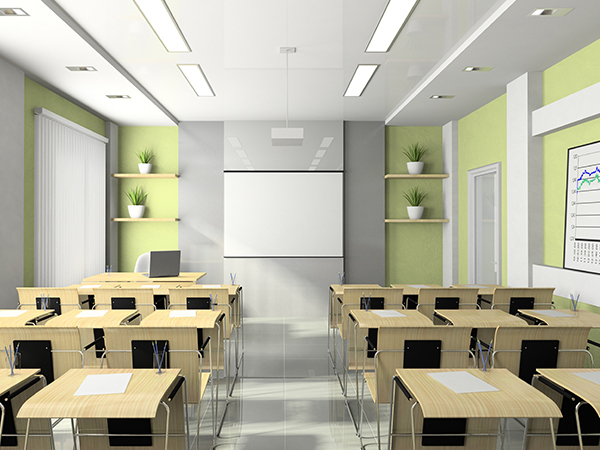 In the classroom, students can share their projects or presentations through the projector directly from their own laptops. Antenna Type For USB transmitter: internal antenna. For A/V Receiver Base: internal antenna. Both are omnidirectional.